Sandwiched between the natural harbour of Plymouth Sound and the green hills of Dartmoor, the city has a proud maritime heritage and thriving marine industry. Our office is on the Plymouth Science Park to the north of the city. There is easy access by road from the A38 and the train station is a ten minute taxi journey. To email us, send an email to the general (enquiries) email address ; alternatively download the attached Contact card (you’ll need to right click so it doesn’t load in your web browser). 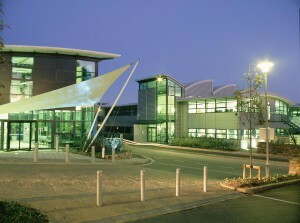 1 Davy Road, Plymouth Science Park, Derriford, Plymouth, Devon, PL6 8BX.